January is typically a slow month for new music releases, but a few in the last month piqued my interest. I’d say it’s a pretty good start, mostly since I can’t remember any albums released last January and at least a couple from this month will probably be in my rotation throughout the year. I’ll go alphabetically, so as not to disorient any readers. The Welsh singer’s second album comes after a tour with St. Vincent, and it’s easy to see why the two hit the road together: Le Bon covers similar territory to Annie Clark, playing songs that sound somewhat coy but have a dark sense of humor and are prone to exploding into blasts of noisy guitar. Le Bon doesn’t quite have the ambitious arrangements that St. Vincent does, but her songs are more personal and allow her to develop a distinct and quirky persona throughout the album. Le Bon’s voice garners fairly obvious comparisons to Nico and it gives Cyrk more of a throwback feel that reminds me a lot of self-titled era Velvet Underground (if Nico had stayed with the band and provided all the vocals). Despite the comparisons, I think Le Bon is a unique voice and talent, with a knack for clever lyrics and finding just the right place in a song to add some spice to the arrangement with guitar. 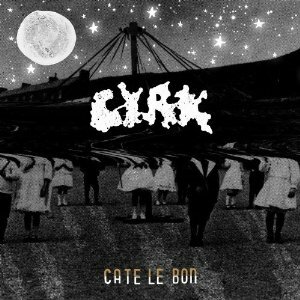 Cyrk was the album I listened to the most in January and I anticipate listening to it throughout the rest of the year. This New York duo, comprising singer Carolyn Polachek and instrumentalist and producer Patrick Wimberly broke out slightly a few years ago when their song “Bruises” was featured on an iPod commercial. Being featured on an iPod commercial usually isn’t usually a good sign for me, but I’m surprisingly enjoying their sophomore effort Something. The band’s sound is defined by their love of cheesy 80’s synthesizer and electronic sounds, along with Polachek’s vocals which tend to hover and remain detached from her musical surroundings. The band is at their best when making goofy, off-beat pop songs like “Amanaemonesia,” which is apparently about a made-up disease and “Sidewalk Safari” which fronts its corny instrumentation with a humorously disturbing story of running down someone with a car. 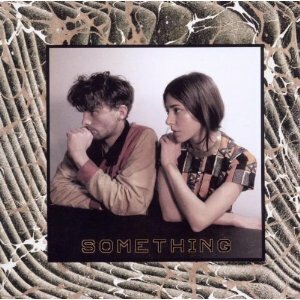 For the most part, Something accomplishes what it sets out to do: It’s an odd and catchy indie-pop album that has gotten multiple songs stuck in my head constantly. Cloud Nothings started as more of an indie pop outfit, but frontman Dylan Baldi decided to take things in a different direction for their second album Attack on Memory. In this case, the album title is literal, as the band sounds completely different thanks to a new aggressive approach inspired by bands like Wipers. The album was produced by Steve Albini, whose production I am a notable sucker for, and its sound is refreshingly straight-forward rock, with none of the annoying affectations that are so present in indie music today. 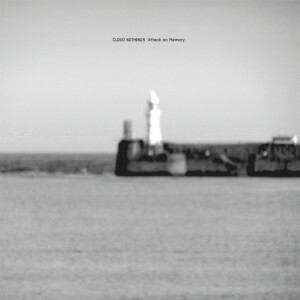 Unfortunately, Cloud Nothings is held back by Baldi himself: His adolescent singing style is grating to me and his attempts at sounding “aggressive” come off more as a kid playing dress-up than an artist who is experiencing legitimate angst. My favorite parts of Attack on Memory are when he’s singing pop songs with a bit of rock edge (“Stay Useless”) or when he fades into the background a bit, like the 9-minute “Wasted Days” which features an extended instrumental section, becoming this album’s “Youth of America.” Despite my issues with some of the singing, I respect Attack on Memory for being something different, both for the band and current indie music as a whole. The Swedish sister pair of Johanna and Clara Söderberg plays a familiar brand of rustic folk that is obviously indebted to bands like Fleet Foxes (they initially got attention through a Fleet Foxes cover posted on youtube). They have a phenomenal gift for vocal harmonies and for the most part it’s hard (even for me) not to like them a little bit, given their obvious skills and youth. 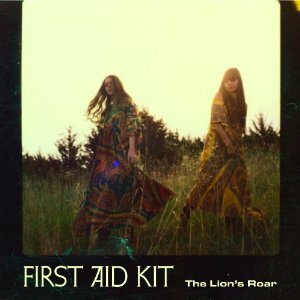 Most of The Lion’s Roar follows the formula they do well, with folk songs with sweet harmonies that rise into climactic choruses. At times I think the songs can linger a bit too long, and, even though they’re not signed to the label, they sometimes fall into the trap of sounding like a generic over-serious Saddle Creek band, right down to the obligatory Conor Oberst cameo in the final track. I imagine for a lot of people that love this kind of heart-on-your-sleeve folk, The Lion’s Roar will be one of their favorites of the year, but for me it’s a well-crafted but ultimately forgettable collection of songs. Lana Del Rey sparked a billion think-pieces when she exploded last year with the viral hit “Video Games.” The way with which Del Rey, formerly Lizzie Grant, transformed herself into a 50’s-type character irked a lot of people apparently, and it culminated in a Saturday Night Live performance that was the subject of a vast amount of media scrutiny. Personally, I don’t really have anything against her (a musician changing her identity to gain pop stardom? THE HORROR!) but I generally enjoyed following all the inevitable hype/backlash media cycles for the last few months. Now her debut album finally drops, and while it contains the still-excellent “Video Games”, nothing else approaches that level. 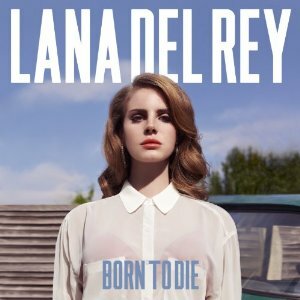 The title track comes closest (mostly because it’s basically the same song), but the rest of Born to Die contains forgettable tracks in a similar vein or even worse, disastrous attempts at more up-tempo pop tracks like the trainwreck “Off to the Races,” which sounds almost like self-parody. For the most part, the biggest question Born to Die raises is how something this dull and uninteresting created so much passionate discussion from either side. Track you should legally obtain: “Video Games” if for some reason you haven’t already. Thanks for reading, and stay tuned as I attempt to keep up to date with new music throughout the year.